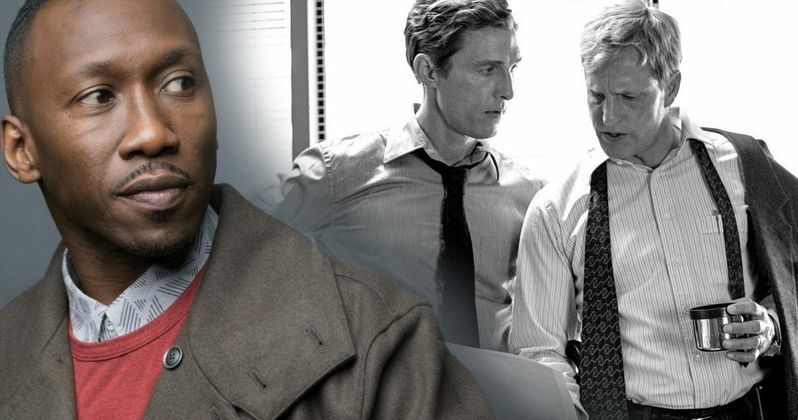 The third installment of the HBO crime anthology True Detective created by Nic Pizzolatto and starring Academy Award winner Mahershala Ali will be filmed and produced in Northwest Arkansas, beginning in early 2018. Ali, who won the Academy Award for best supporting actor for his performance in Moonlight, follows in the footsteps of Oscar-winners Matthew McConaughey and Woody Harrelson, who played the leads in the first season and Colin Farrell and Vince Vaughn, who starred in the second season. True Detective Season 2 gained mixed reviews, so it will be interesting to see how Season 3 fares. The news comes from the Arkansas Economic Development Commission, which issued a press release late this week, after weeks of speculation stemming from the Fayettville City Council's decision to lure the hit show to the city with half of a million dollars. The town is ecstatic to have True Detective filming there and AEDC Director Mike Preston called it "the largest and most expensive production" in Arkansas to date. Governor Asa Hutchinson also talked about the natural beauty of Arkansas and Fayettville and her excitement for the show filming there. She had this to say. "We're thrilled HBO chose to film the series in Arkansas. This is a testament to the dedicated teamwork across state agencies and communities to position the state as a choice place to do business. The beauty of the state, the skilled and quality talent available, along with the support provided by the Arkansas Economic Development Commission, made Northwest Arkansas an easy choice." Production for the third installment of True Detective is expected to begin early next year and will be one of a handful of TV shows and movies to use the location. Slingblade and Mud both filmed there as well, but as previously noted, this will be the biggest production that Fayettville has seen to date. HBO also released a statement sharing their excitement as well. HBO Executive Vice President of Production, Bruce Richmond, had this to say. "The cooperation, support and enthusiasm of Governor Hutchison and his team, the AEDC, the mayor and City of Fayetteville, and Christopher Crane of the Arkansas film commission has been extraordinary and instrumental in allowing us to bring the highly anticipated third installment of True Detective to Arkansas." The next installment of True Detective takes place in the Ozarks, with a mystery that reportedly takes place over decades. Mahershala Ali will play the role of Wayne Hays, an Arkansas State Police detective. Carmen Ejogo will play Amelia Reardon, a school teacher with a connection to two missing children in 1980. The premise looks exciting and HBO has compiled another amazing cast, but fans are still skeptical after the second season came out and did not live up to the first season. Fans should see a ray of hope with the upcoming third season of True Detective as Green Room director Jeremy Saulnier on board to helm multiple episodes, which will also see the show going back to its anthology roots. A premiere date and episode count for True Detective Season 3 has yet to be announced. The previous two seasons both ran for eight episodes, with Season 1 premiering in January 2014 and Season 2 debuting in June 2015. You can read more about the production of True Detective Season 3 via Arkansas Business.